Leica M-D. Summicron-M 35mm f/2 ASPH. Edited in Lightroom. 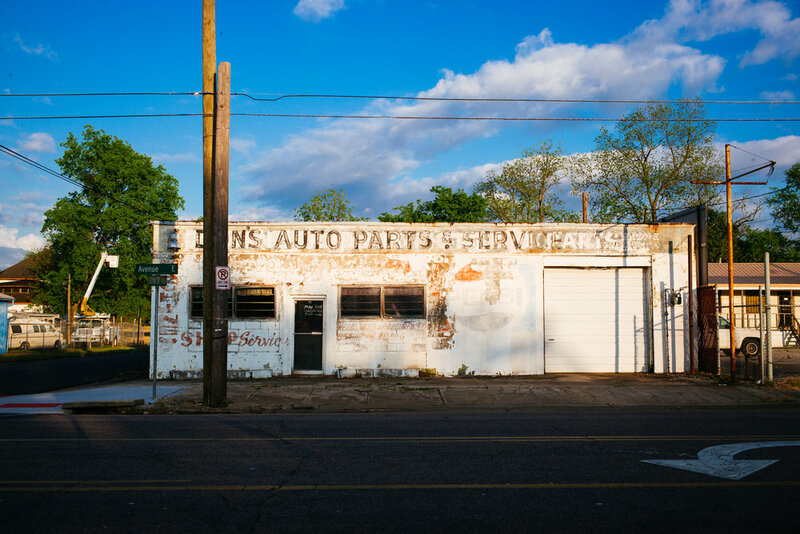 Ensley is a neighborhood of Birmingham, Alabama that—for its first few decades—was its own city and industrial site. At its most prosperous in the early 20th century, it's been in decline since the 1970s. These days, it's a little rough. 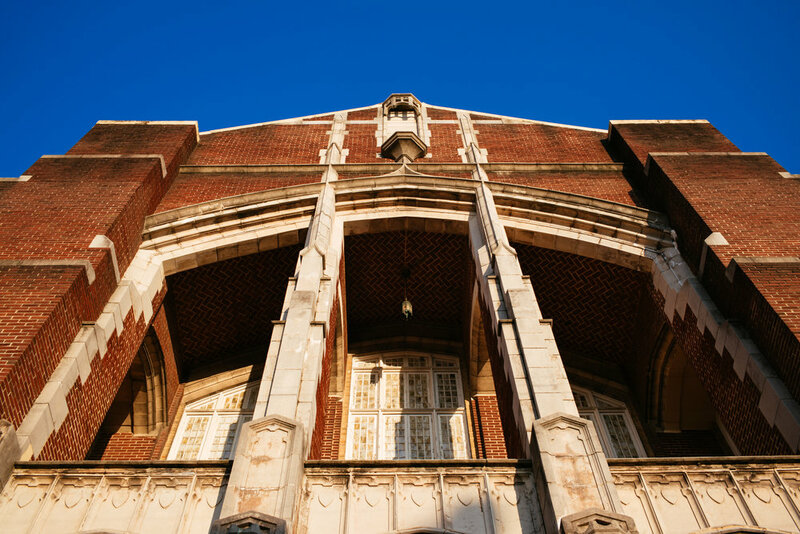 But you can still see elements of its past glory. I was driving through at peak golden hour on a clear, beautiful day. Yes, these photos were edited in Lightroom and were boosted in tweaked, but 80 percent of what you see is straight out of the camera, the light was just that good. These next photos, in particular, are inspired by Fred Herzog, a mid-century Vancouver-based photographer who did a lot of his work at exactly this time of day, using color transparencies. After about an hour, the light began to fade and I started to make my way home. On my way out, I saw these evocative structures. The first appears to be an abandoned school. 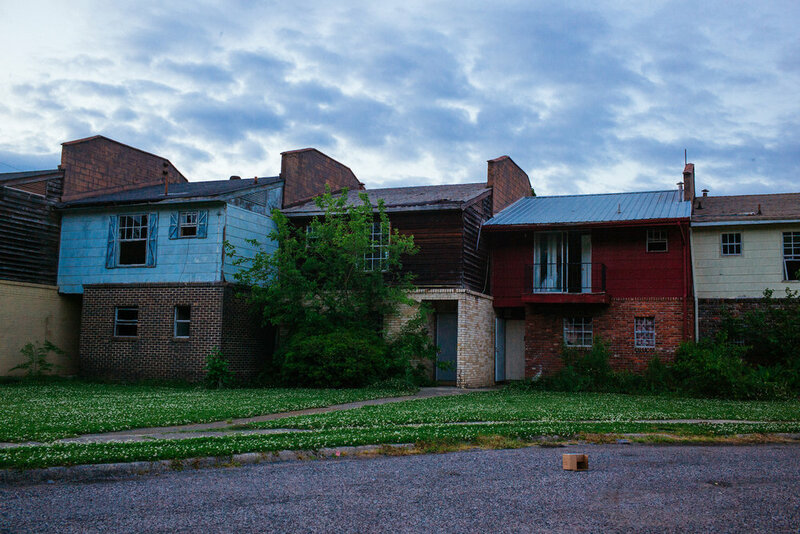 The second are a set of abandoned town homes. From the back, they are covered in growth and have visible decay. But from the front, they almost look like they're lived in. I should say, if I weren't committed to film and also had thousands of dollars to burn, I would totally own one of these digital Leicas and fancy lenses. Alas. Fuji X100F + VSCO for iOS. I was in Alabama for a few days covering the National Memorial for Peace and Justice and otherwise exploring a few parts of the state. In the interest of indulging my inner-Walker Evans and Fred Herzog, I devoted a good amount of time to black and white and color photography of older buildings, signs, and advertisements. As with actual film, a good exposure is just the starting point for the real work of creating a usable file for printing and display. All the photos you see here were processed in Lightroom, using VSCO as a starting point and adjusted to ensure a full range of tones. The remaining photos in this post were taken in Fairfield, Alabama, which is part of the Birmingham metro area. I still haven’t developed my film from New Orleans, but like last week, I do have a few digital photos to share. 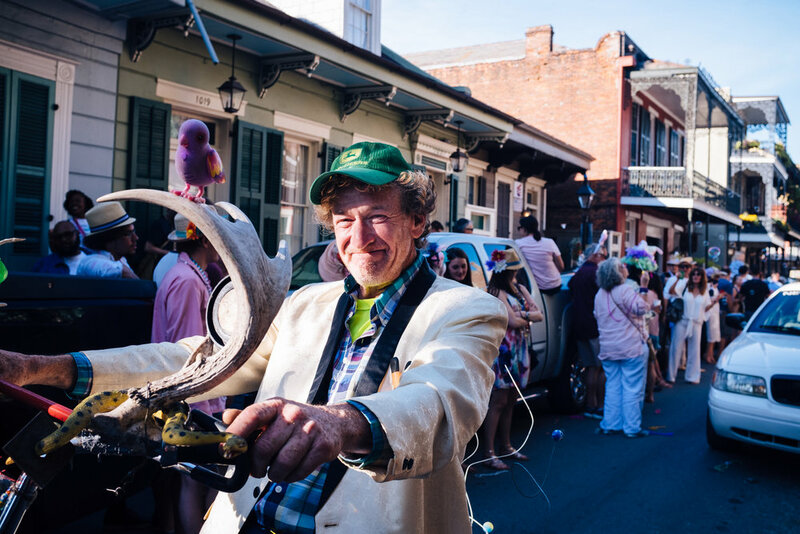 Any trip to New Orleans eventually involves a stop in the French Quarter, and for whatever reason our days almost always ended with us walking through it. This first photo is from Easter Sunday, our first full day in the city. We missed the morning Easter parades on account of visiting cemeteries, but we were able to catch the last parade of the day, the Gay Easter Parade. There’s something both very modern and very pre-modern about Easter revelry. The vibe of the celebration is a throwback to quasi-pagan Easter celebrations of an earlier Christianity, but the inclusivity is very 21st century. Anyway. I like this picture. Next is from a random moment in the quarter. The light was fantastic and it was just luck that some people walked through the scene just as I took a snap. Last is from our last full day in New Orleans. I’m a sucker for people with insane political beliefs, and took a few photos of this dude as he evangelized for his Alex Jones-ish views. For those of you who care about gear, these were taken with a Fuji X100F and processed in Lightroom.